I way overspent last week on groceries, about 2 weeks worth. So, this week I am going to eat what we have on hand and make a quick trip to the grocery mid-week for some fresh produce, because we have PLOWED through ours. I find that when I do this, I’m amazed at how much food we actually already have on hand. I just have to get a little creative, so I save those weeks for the ones where I am a little more energized. You will see some repeats from last week because our plans changed a bit. And, my husband ended up taking me on a special overnight anniversary trip to celebrate 12 years together! 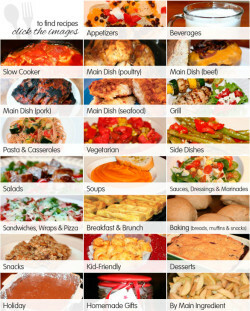 It was a total surprise, so I am just going to transfer the meals over to this week to make it easy on myself. 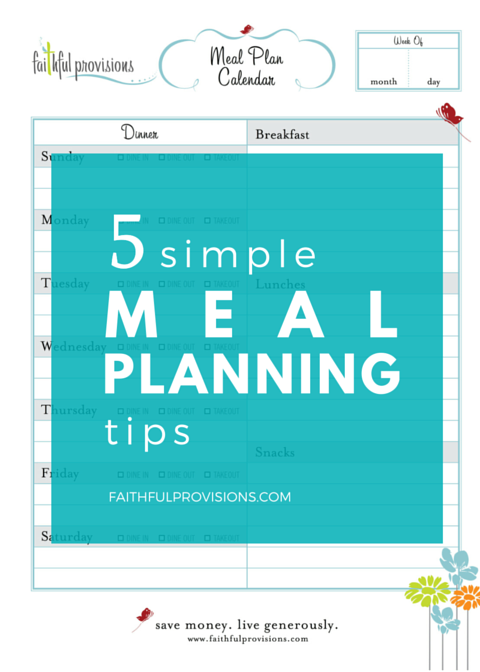 We got home late Sunday afternoon, so I did a very quick meal plan so I could set my mind at ease about the week. It amazes me how much stress this takes off my mind. 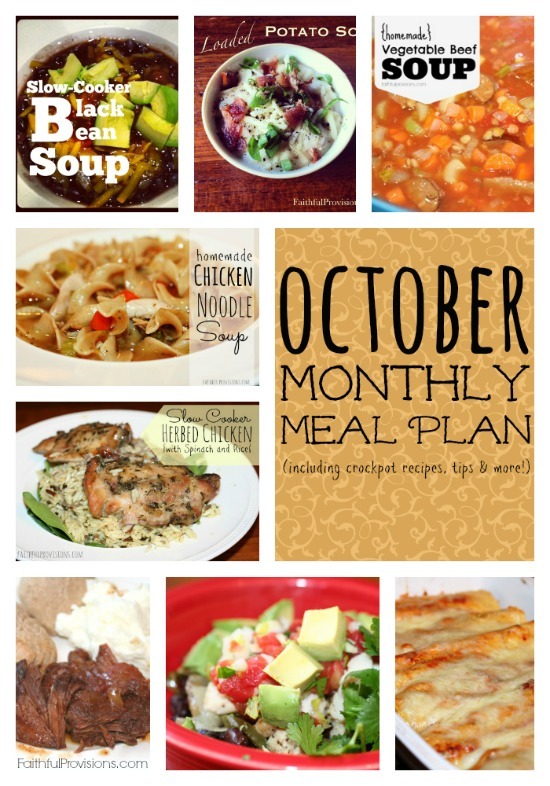 I highly recommend to post your meal plan somewhere. 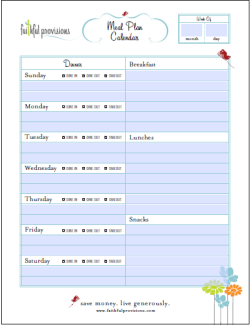 Use my meal plan template (you can type in and print!) 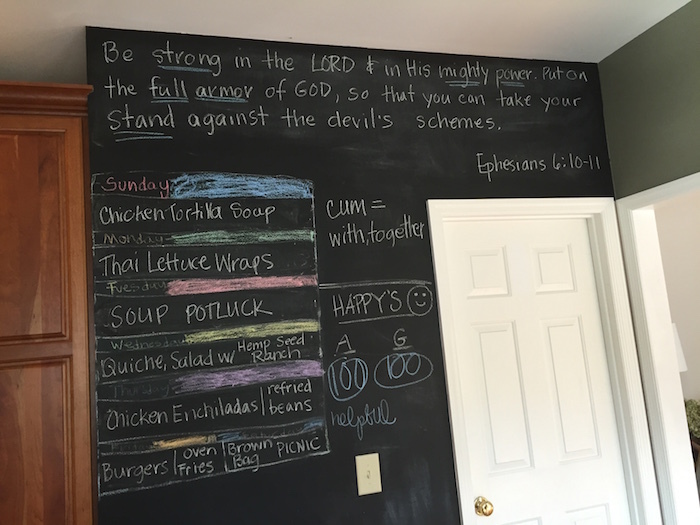 and print it out, or do like we did and paint a kitchen wall with chalkboard paint! It has really made meal time so much less stressful! 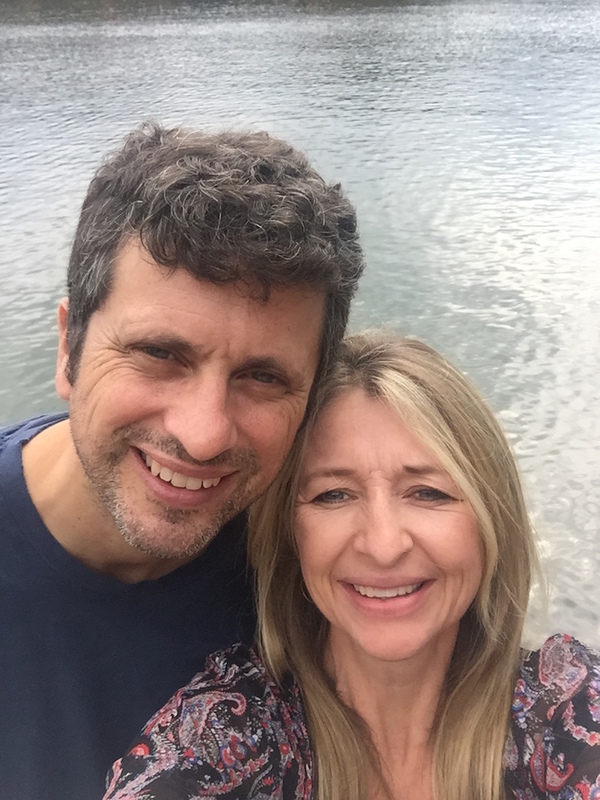 This weekend was our 12 year anniversary and my sweet husband spoke to my heart and took me on an overnight retreat on the water. And the only thing we did was RELAX. 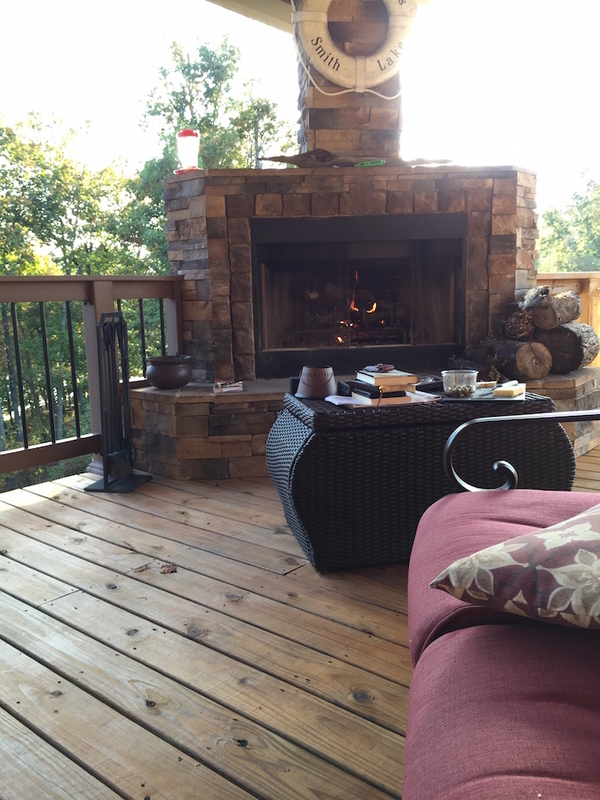 We sat by an outdoor fire, read, talked and ate. That was it and it was complete heaven! The best part about this whole weekend is that it was also completely FREE. We are very blessed to have a friend who loaned his beautiful lakehouse to us for the weekend.